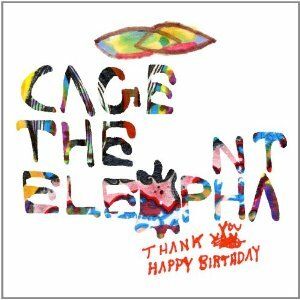 Listen: Cage the Elephant - "Around My Head"
Cage the Elephant has recently dropped another new track from their upcoming album, Thank You, Happy Birthday. The album is due out in January. The song will be on iTunes today as the single of the week, so make sure you check that out. "Around My Head" is now the third song off of the new album that we have gotten to hear. Each one has been pretty good, showing that Cage the Elephant will not end up in the dreaded "sophomore slump." Listen to "Around My Head" below.